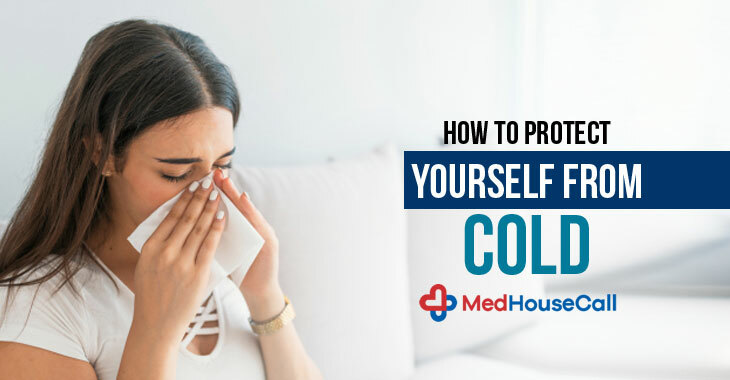 Cold and cough may seem minor health complications, but it may damage your normal living a lot. Kids are more sensitive to these issues. Do you know that the lack of hygiene can make you more susceptible to cold and cough? If you are suffering cold and cough throughout a year, you must check your environment and pay more attention to cleanliness. Home visit physicians at MedHouseCall have experienced some shocking details about health and hygiene. Many households are unaware of how to maintain an environment healthy for your stay. They neglect the basic hygiene and this worsens the condition even more. In-home consultation services often raise the topic to improve the general healthcare to people. When you are suffering cold, the common signs of these problems are a sore throat and runny nose. Coughing and sneezing are also the symptoms of it. Though it recovers within a week, it needs special attention in some cases. When you are suffering from chronic complications, it is always better to get doctor advice and skip over-the-counter medicines. Have you ever noticed that when one member gets sick, other members also develop the same health issue sooner or later? This is because bacteria and viruses transmit from an infected person to others. So, the most important thing to stop this transmission is maintaining a strict hygiene policy at home. Here are some basic options that you must maintain when someone in your family has a health issue. Wash your hands with soap and water. This has no substitute. You can wash your hands for 20 seconds. You can also use alcohol-based hand sanitizers when soap and water are not available. Remember that a regular hand wash is necessary to kill the germs. You must avoid touching your mouth, eyes, and nose when your hands are not clean properly. Else, your body gets affected by viruses. The best options to stay away from the infected people, at least keep your kids away from the person who is sick. MedHouseCall also comes up with some suggestions that help you best to stop transmitting bacteria and viruses. If you are sick, you can maintain some habits that protect others from catching the viruses. So these are the things that shield you from cold and cough. Though it is a minor health complication, you cannot avoid the matter and if the symptoms persist for long, you must call a doctor. Home visit physicians will take care of your health in the comfort of your home environment. Get doctor on call services in Ontario, Canada with MedHouseCall. Some cases, you must call a doctor. Here, we mention some of them. MedHouseCall improves the healthcare service with the innovative approach of on-call doctor demand facility. You can avail the service if you live in Ontario, Canada. The organization will soon spread its offers across other regions also. Author adminPosted on February 4, 2019 Categories Best Doctors At Home in Canada, book doctor’s appointment, Choose the Doctor’s House Call Service for Your Health, Common illnesses, Doctors on your own schedule, health Guide, Home visit doctors, Home Visit Doctors Services, How To Live A Happy Life When You Grow Old, On Call Doctor Ontario, On-Demand Doctor House CallsTags and nose, chronic complications, Cold and cough, Coughing and sneezing, damage, environment, eyes, Get doctor on call services in Ontario, hand sanitizers, health complications, health issue, home visit physicians, hygiene, In-home consultation services, kill the germs., MedHouseCall, mouth, on-call doctor demand, sensitive, sick, sore throat and runny nose, suffering, suffering cold, suffering cold and cough, viruses.